Battle of Dazar’Alor heroic is the hardest and most rewarding instance in the entire Battle for Azeroth expansion (for the time being). Once the gate opens, this is the ultimate place you want to be in. BoD heroic drops items of 400+ ilvl, which is by far the best loot you can get in the game. If you’re interested in our Battle of Dazar’Alor heroic service, our team of at least twenty professional PvE players will take your character and stomp their way through BOD heroic. This means that at the end of our service your character will be a lot more powerful, and it will have currently the most prestigious achievement in the game – Lady Jaina Proudmoore heroic kill. 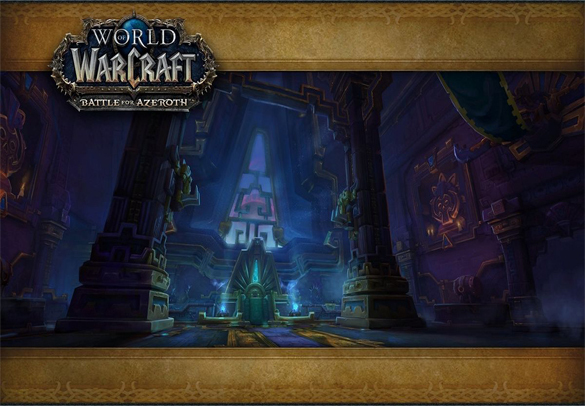 At the beginning of every new expansion, the first raid introduced to the game has only two difficulty levels – normal and heroic. The mythic difficulty comes after several weeks, which makes Battle of Dazar’Alor heroic service the best way to prepare for mythic raiding. If you have any questions regarding this service feel free to contact our 24/7 and friendly support on Skype, Discord or Live Chat! You have the opportunity to buy additional X3 / X5 / X7 Players that trade loot in our raid (just like it was in Master Loot raids). In BFA expansion only items with lower item level than the ones player already has in the same item slot can be traded. We will be able to trade you 99% of items that raiders get during your run maybe first 2 lockouts of a new raid percentage will be some lower. The only exceptions are Titanforged items which, with all our desire, can not be traded, sometimes. Guaranteed minimum of 5, 7 or even 9 items if x3 / x5 or x7 Players Loot trade options are chosen! I have been using Selfic for this entire expansion and his team is so good at what they do. Heroic runs are always smooth, fast, and always free on the next run if something doesn’t drop the first time. Glad he finally got an official website and are moving up in this world.